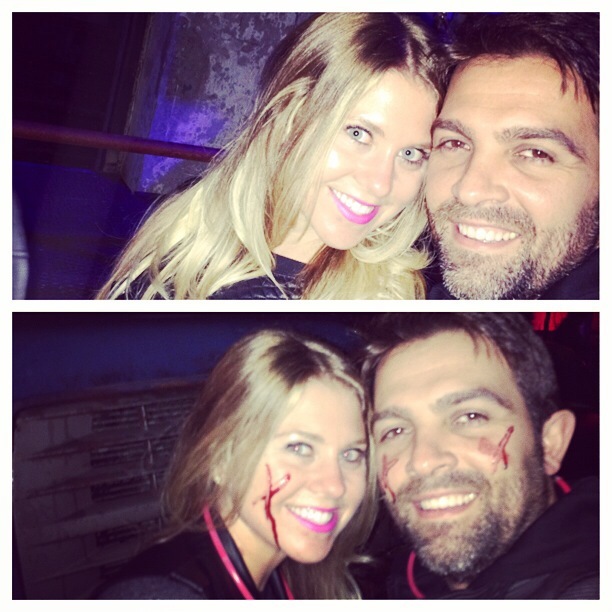 I wanted to go to Eastern State Penitentiary this year for Terror Behind The Walls. So I figured for the 2 1/2 hour drive we would make a day out of it. Jim’s on South Street was recommended by a friend of mine. We stopped there first and we waited about 25 minutes on line. I ordered mine wiz wit..extra wiz. They also sold beer. 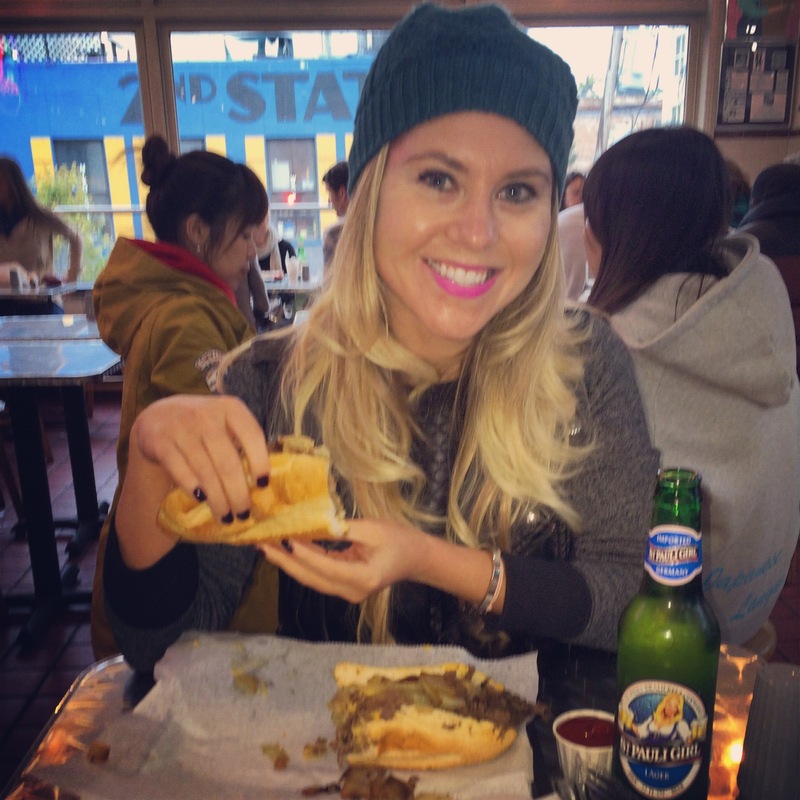 I grabbed my cheesesteak and beer and headed upstairs to the seating area and feasted on my cheesesteak. It was delicious and by far my new fav cheesesteak place. (Better than Pat’s and Geno’s)The steak was so juicy and flavorful with just the right amount of cheese wiz and onions! After that we walked around South Street. They had a bunch of cool shops to wander in. 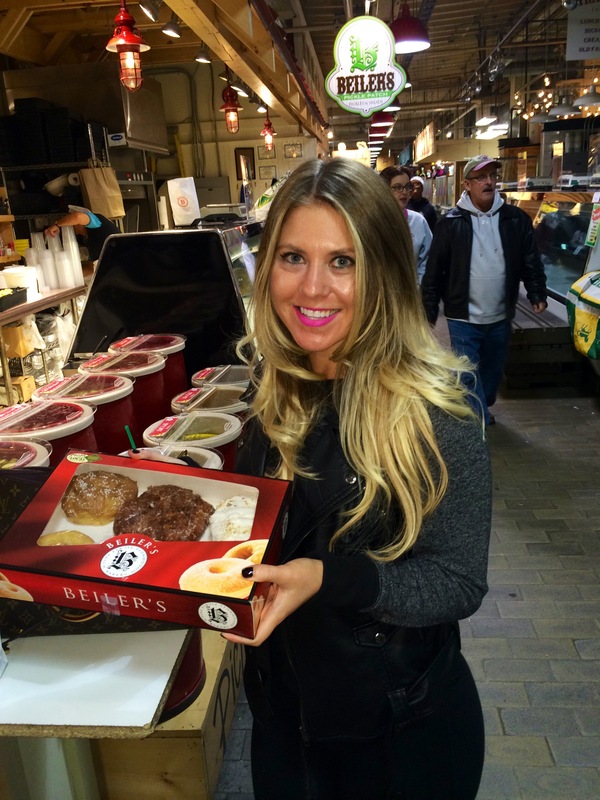 We then headed to Reading Terminal Market, we strolled around and purchased fresh hand rolled doughnuts from Beilers Bakery. The line was pretty long. I ordered half a dozen donuts..banana cream, salted caramel, glazed, apple fritter and maple nut).soo sooo good! After that we took the short drive to Eastern State Penitentiary and found parking right out front. (Try to find parking on street before paying to park at the zoo and take the shuttle)We had time to kill so we stopped at Jacks Firehouse and had a few beers and a spiked apple cider (warm apple cider with Captain Morgan and Brandy). For the haunted penitentiary, my suggestion would be to get quick pass then you are able to bypass the long lines! ($10 more per ticket)We got our tracking devices (glow stick) around our neck, and while on our way in, they drew an X with fake blood on your face. You have an option of wearing a tracking device and I recommend you get one! That way they can interact with you. I was grabbed, taken away from hubby and “marked” in a secluded cell(not for long) and I went through secret passages and tunnels. It was a great time! It is crowded and I suggest you keep a distance from the people in front of you if you want a good scare. When you leave there are actors dressed up and you can take pictures with them. They also do dance performances which is pretty cool. On the way home we stopped at Tony Lukes and got yet another cheesesteak. I will definitely return next October!